37+ Acres. Beautiful Property with Mountain Views for Miles! 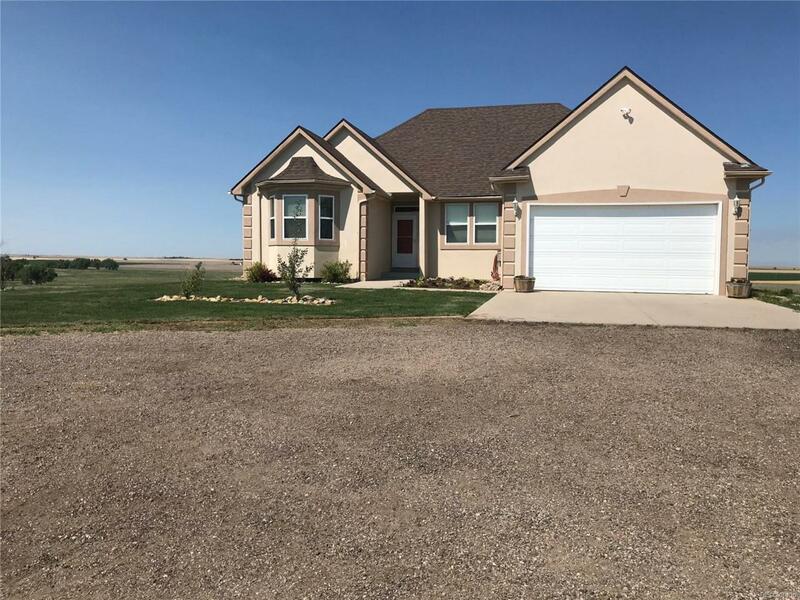 Ranch Home with Newly Finished Basement. 2 Car Attached Garage with Concrete Driveway. Master Suite with 5 Piece Bathroom and Access to the Back Deck. 1 Additional Bedroom and Bathroom on the Main Floor. Open Floor Plan with Vaulted Ceilings. Fireplace and Tile Throughout the Main Living Area. Kitchen with Granite Countertops and Center Island. Walkout Basement with Kitchenette, Family Room with Custom Stone Wall, 3 Bedrooms and 1 Bathroom. Unfinished Area for Storage, Etc. Laundry Room Serving as a Mudroom with Garage Access. Exterior Offers Stucco Finish with Landscaped Front Yard. Large 40X60 Outbuilding with Stalls (Electric & Water Available). Fenced - Horses and Livestock Welcome! 2 Storage/Utility Sheds. Quiet & Serene. Call Today for More Info! 45 Minutes to DIA, 1 Hour to Denver & the Tech Center! Offered by Hillside Country Homes & R.E..